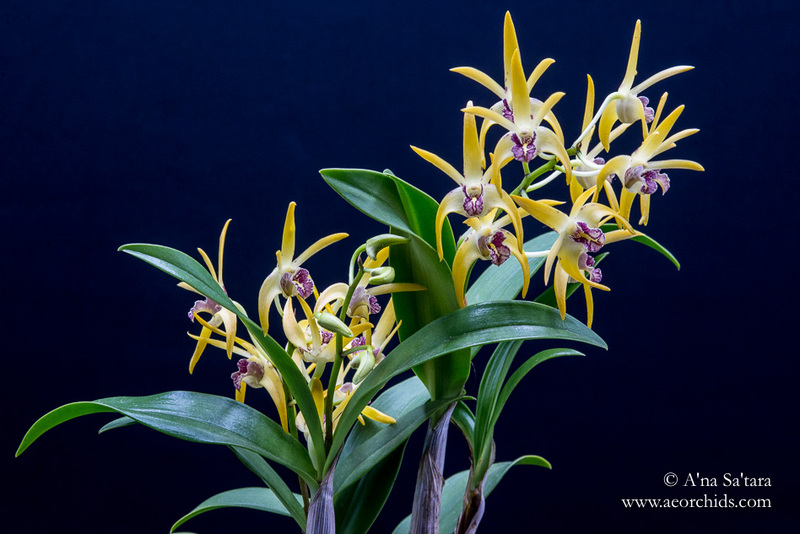 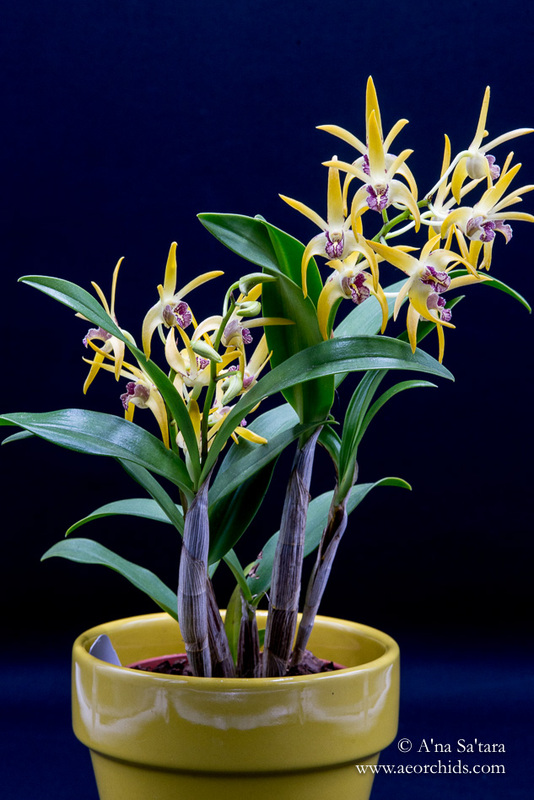 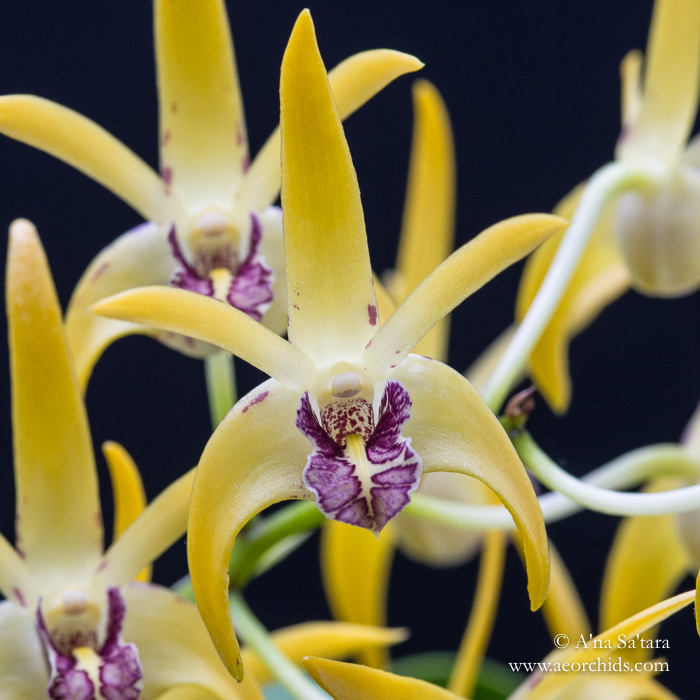 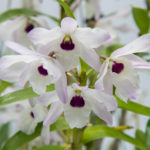 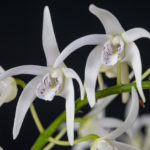 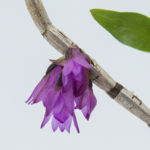 A surprisingly strongly fragrant Australian dendrobium hybrid. 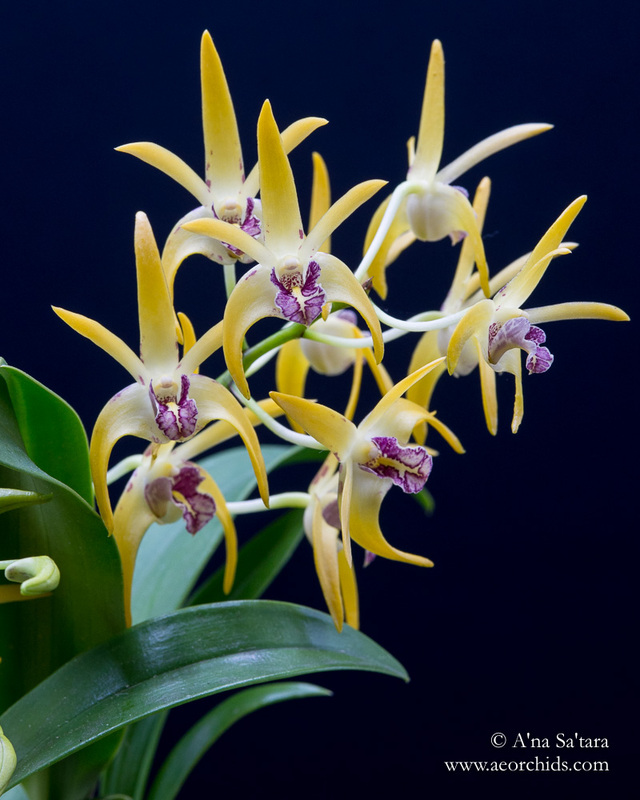 This is a first bloom seedling of the cross of Dendrobium Aussie Parade ‘Carrot Splash’ HCC/AOS and Dendrobium speciosum ‘Windermere’ HCC/AOS. 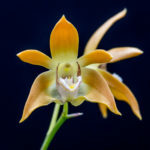 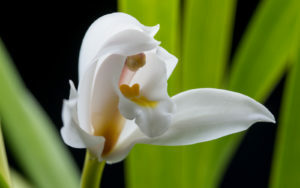 As with my other Aussie Dens, this orchid lives in the shadehouse, with summer highs near 90F and staying outdoors unless nights are forecast below 30F (though I am extra careful when the buds are mature to bring it into the cool growing area (45F minimum nights) to prevent damage when near freezing temperatures are forecast).